Pharrell Williams teased an upcoming project with adidas on Instagram a few weeks ago. 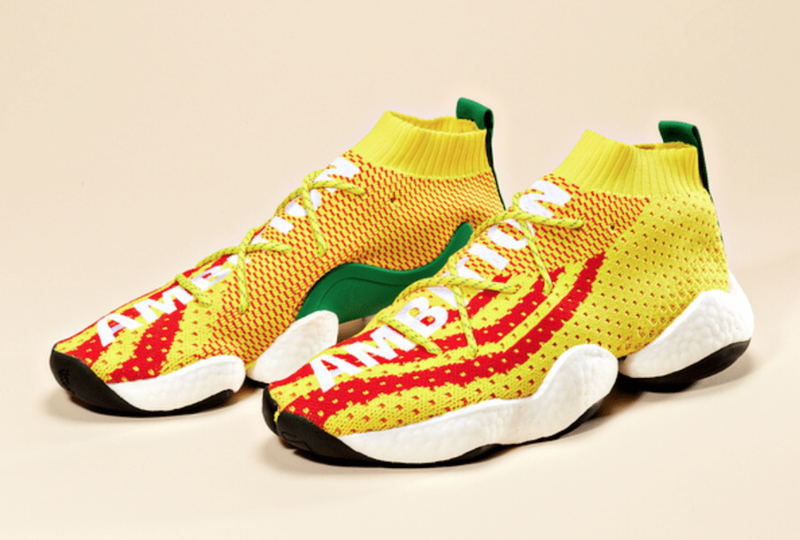 Now, the Three Stripes has unveiled the new model, the adidas x Pharrell BYW Ambition. 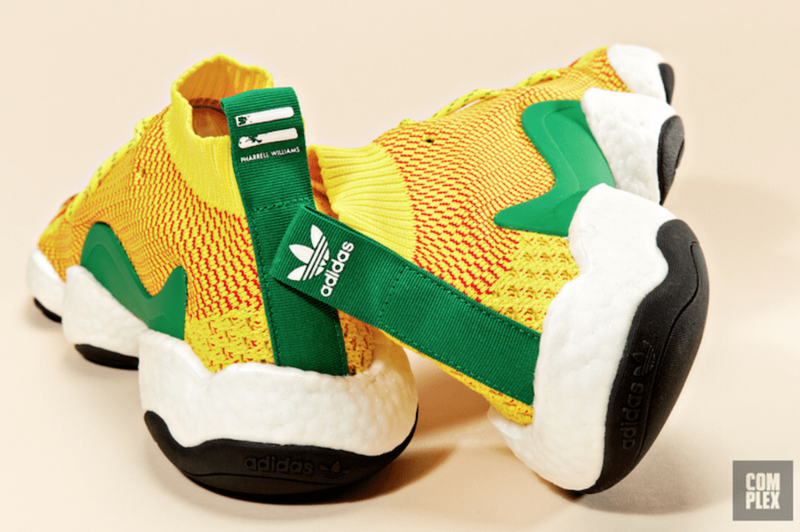 It looks like Pharrell Williams is going to be creating more off-the-wall models to add to his signature adidas line this year. 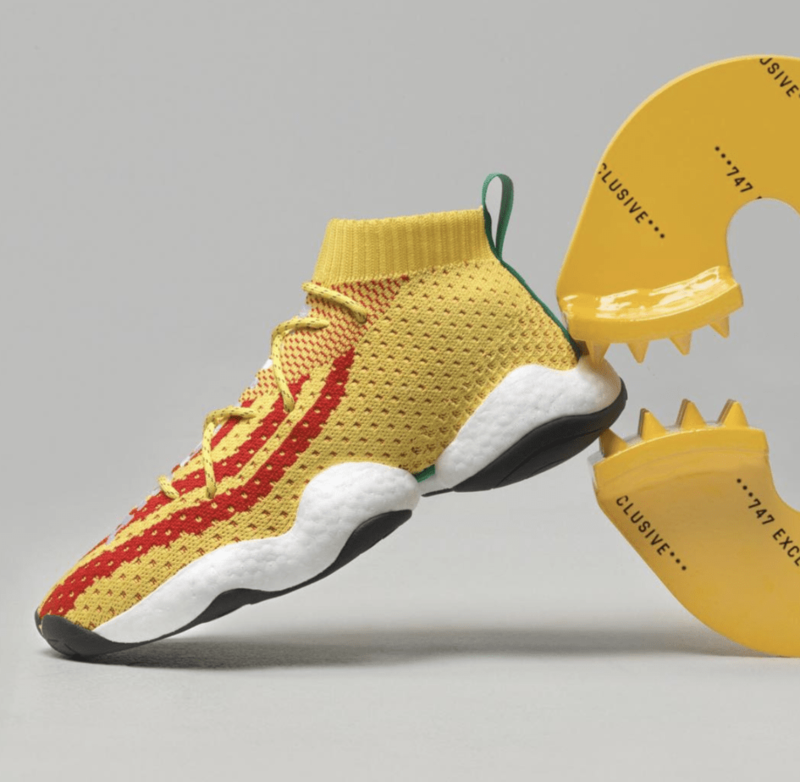 First shown on his personal Instagram page several weeks ago, adidas has now officially announced that his take on the new CRAZY BYW will be available exclusively at the adidas 747 Warehouse event in Los Angeles. 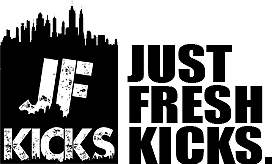 The event serves as the brand’s NBA All-Star Weekend command center, hosting special events and concerts as well as being the singular release location for a handful of limited adidas items. 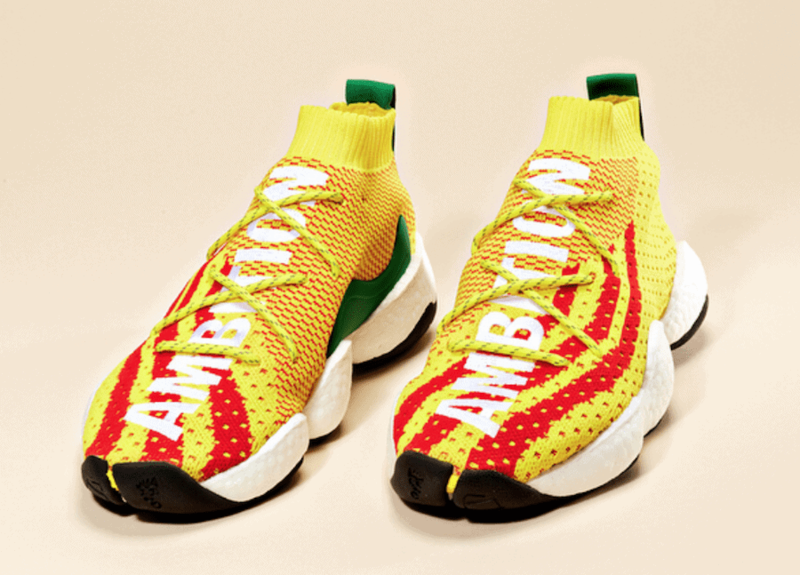 Pharrell’s first foray into basketball sneakers will be one such exclusive. 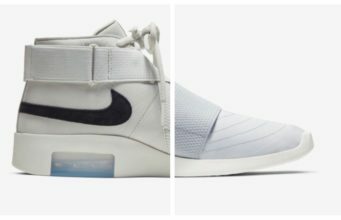 The shoe is on-par with the adidas aesthetic this year. Sitting proudly atop the new Boost You Wear sole, the shoe features a Primeknit upper in bold, bright colors on top. The single-piece upper begins with a yellow base. On the lateral side, three large red stripes begin at the midfoot, and wrap around to extend to the other side of the toe box. Across the medial side and tongue, red is mixed in again, though this time more profusely, in a simple grid. 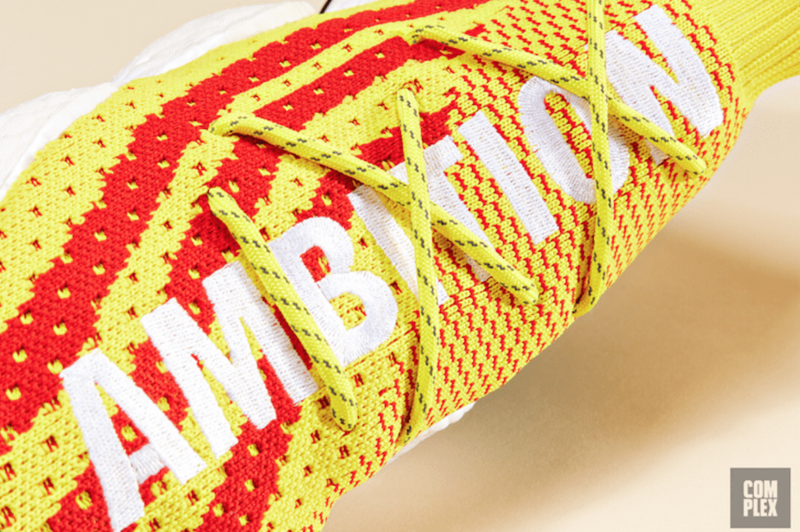 The word “Ambition” runs up and down both shoes, as is common with Pharrell x adidas releases. 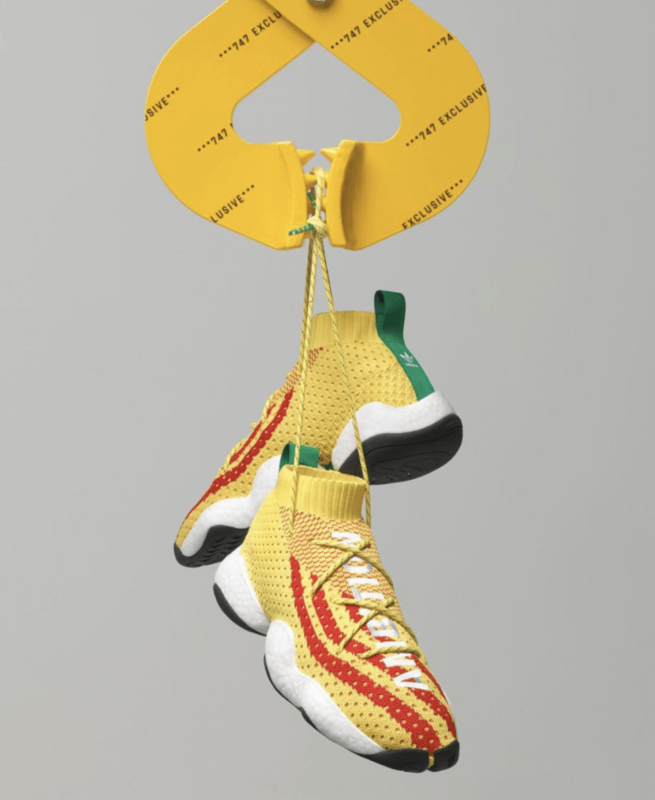 Finally, the shoe is completed with a green medial panel for support, and green pull tabs on the heels with Pharrell and adidas branding. This release is will be available exclusively at the adidas 747 Warehouse this weekend. Luckily, the sneaker heads over at Complex Media received an early pair, and were kind enough to share photos of the shoe with the world. 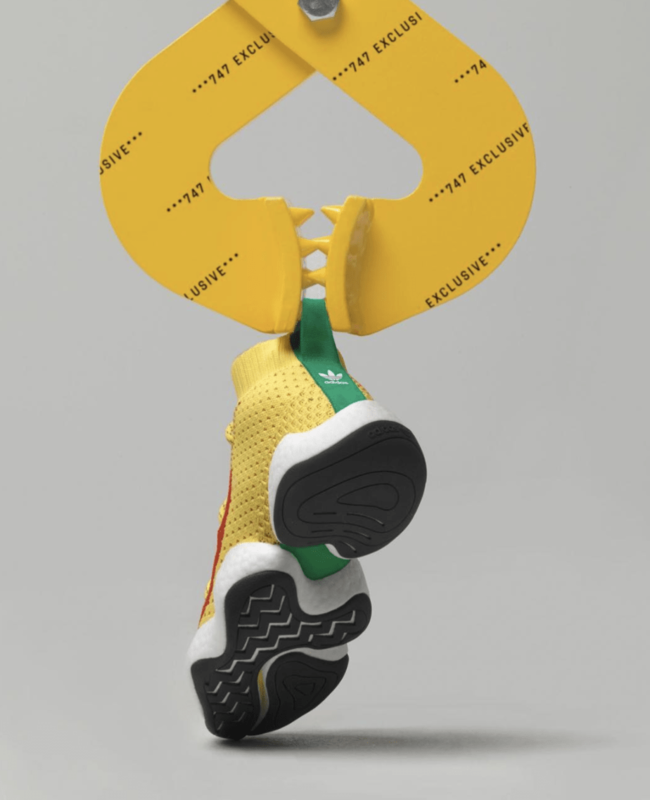 Check out the images below for a better look, and stay tuned to JustFreshKicks for more adidas x Pharrell news.